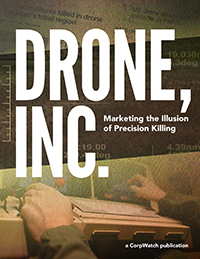 An investigative report on the contractors and technologies used in the remote control drone war. 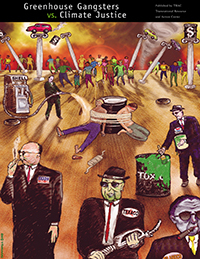 Written by Pratap Chatterjee and Christian Stork, published in August 2017. 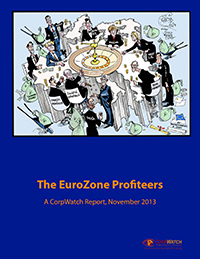 A report on how reckless lending by Belgian, French and German banks to Greece, Ireland and Spain, helped precipitate the EuroZone crisis. 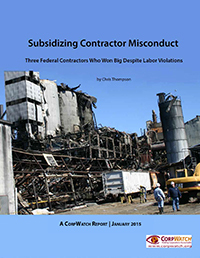 Published in November 2013. 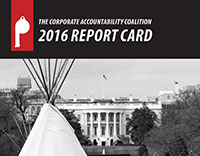 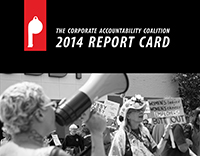 CorpWatch is a member of the U.S. Corporate Accountability Coalition together with the Center for Corporate Policy, Corporate Accountability International, Earth Rights International, and the International Corporate Accountability Roundtable&nbsp. 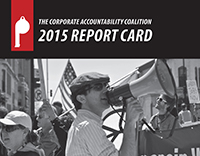 Together, we published a series of five annual reports from 2012 to 2016 measuring the commitment of members of the U.S. Congress to keep the power of large corporations in check; to promote transparency and responsible business practices; and to hold corporations accountable for their actions. 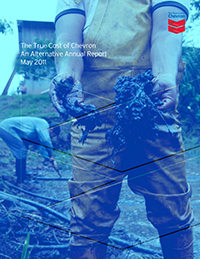 This jointly-produced report documents negative impacts of Chevron's operations around the globe, in stark contrast to the message sent by the company's ubiquitous "Human Energy" advertising campaign. 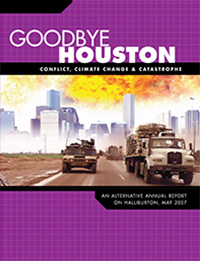 Led by author Antonia Juhasz and published in May 2010. 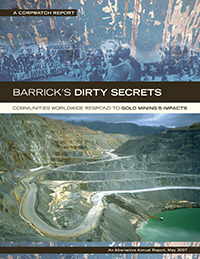 An alternative annual report on Barrick that exposes the human and environmental cost of gold mining. 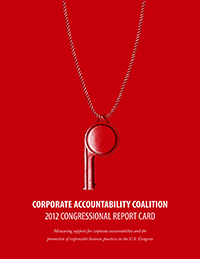 Written by Sakura Saunders and published in May 2007. 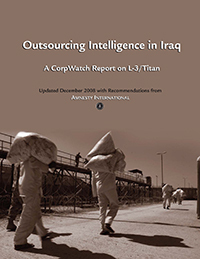 An alternative annual report on L-3/Titan that exposes the imact of U.S. intelligence and translation contracting. 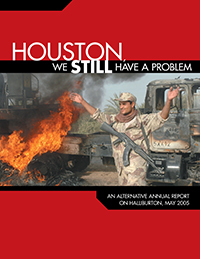 Written by Pratap Chatterjee, and published in December 2008 in collaboration with Amnesty International. 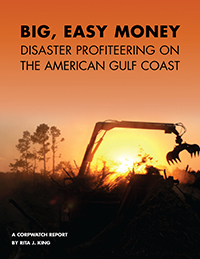 A follow-up report on the companies profiting out of Hurricane Katrina two years after the disaster. 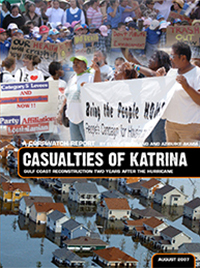 Written by Eliza Strickland and Azibuike Akaba and published in August 2007. 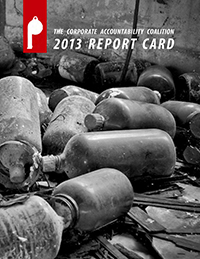 A report on the companies that profited out of the bungled reconstruction effort in Afghanistan. 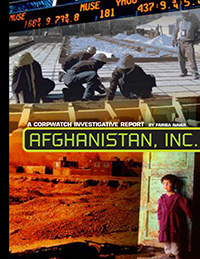 Written by Afghan-American writer Fariba Nawa and published in October 2006. 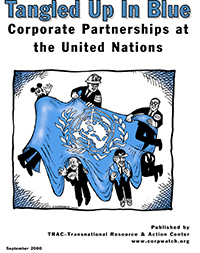 The story of the United Nations growing entanglement with corporations, known as the UN Global Compact. 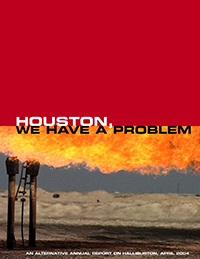 Written by Kenny Bruno and Joshua Karliner, and published in September 2000. 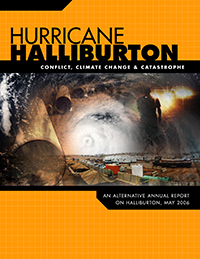 A Novermber 1999 report that successfully redefined climate change as an environmental justice and human rights issue, and helped mobilize communities already adversely impacted by the fossil fuel industry.